Although I love the burgundy shades, navy's and darker hues for Autumn, it's nice to change things up every once in a while. 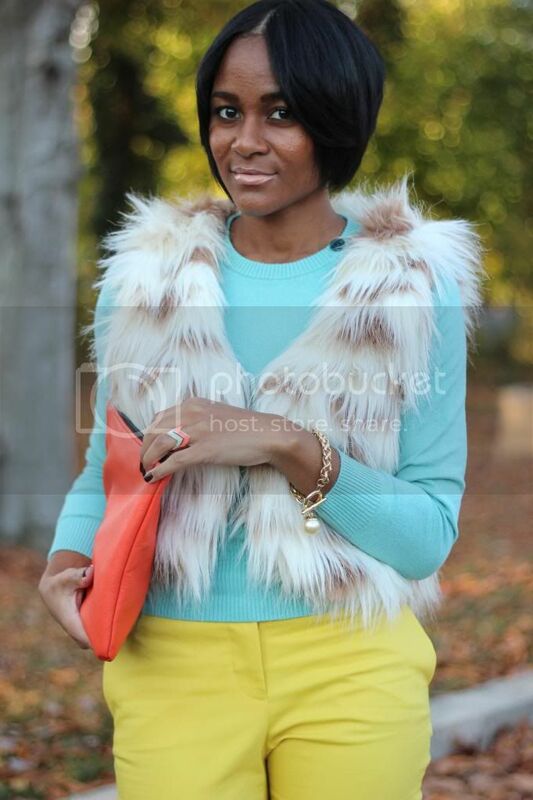 Check out my tips here: how to wear brights throughout fall. you outfit is perfect! i love!!! I love that fur vest Ash! It what takes the brights into fall. 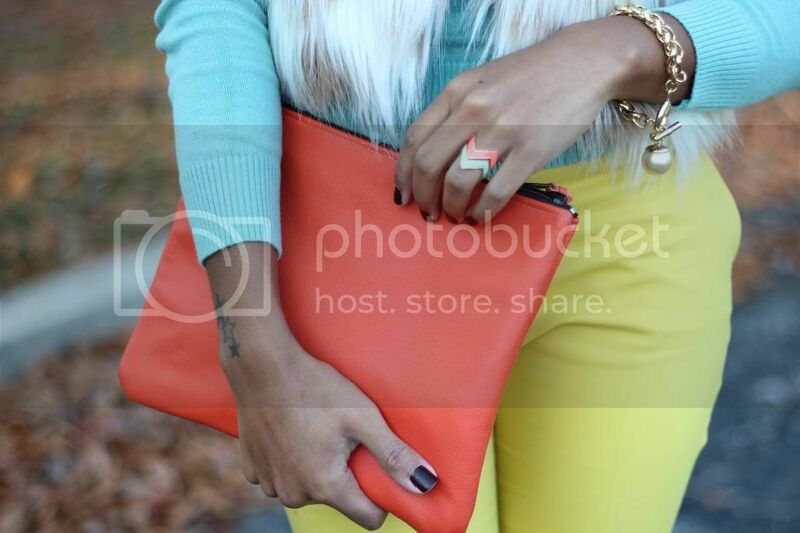 autumn brights are our new favorite thing!! and you've pulled this look off flawlessly!!! Gorgeous - I love the idea of wearing brights in the colder months...especially when they are winter pastels! love the top and your rings! very pretty outfit! Love it! I'm a fan of brights too...Your haircut is super cute too! This is so chic! I love the bright colors with the fur! So lovely! Also, that haircut looks fab on you! Gorgeous! And you just killed it in all white!! Happy Thanksgiving! I love this outfit on you. Great blog! I love your use of color...you are such a style inspiration!